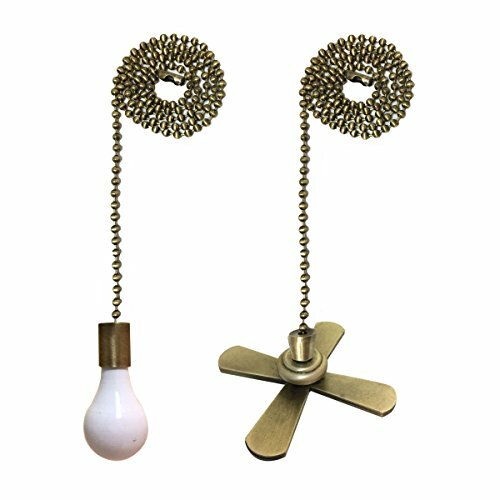 Royal Designs Fan pull chain Fan and light bulb set is the perfect addition to your ceiling Fan! conveniently adjust the settings of your ceiling Fan and light with our Fan pull chain set. Simply pull the chain to turn your Fan and/or light on and off. Royal Designs Fan pull chains have an antique brass finish and are coated with protective lacquer to protect against discoloration and tarnishing. All rdi Fan pull chains are standard length.